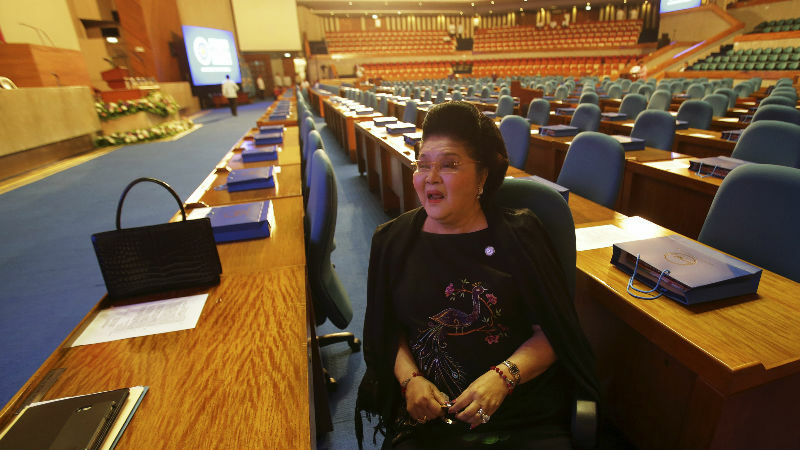 Imelda Marcos has failed in a bid to reclaim jewellery confiscated when her husband was toppled, after the Supreme Court ruled she acquired them illegally. The items, believed to be worth about $150,000, are now the property of the state, paving the way for the sale of a much larger collection of Imelda’s jewellery, possibly worth billions of dollars. “Petitioners failed to satisfactorily show that the properties were lawfully acquired,” said the court ruling. The court was following the principle that property amassed by a government official of a value “manifestly out of proportion to his salary” implied “sufficient presumption that they were unlawfully acquired”. The jewellery in question was recovered from the Malacañan Palace after the Marcos family fled into exile in 1986 following the ‘people power’ revolution. Even discounting the possibility that the family got their hands on this looted Japanese gold, it is estimated that the Marcos family and their allies stole $10 billion while they were in power. An anti-graft court ruled that the jewels belonged to the state in 2009, but Imelda Marcos contested the decision in the Supreme Court in 2014. 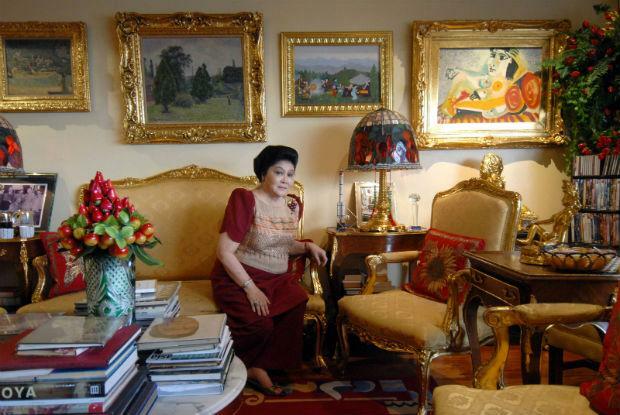 In all, the government said it had recovered about $21 million worth of Marcos family jewellery, including items seized by US customs during the family’s flight to exile. The entire collection, now stored at the Central Bank, includes diamond-studded tiaras, a golden belt with a diamond buckle, necklaces, broaches, earrings, belts and other gems including a highly rare pink diamond. Previous governments have pledged to auction them off, however President Duterte has so far declined to comment on the issue. Mrs Marcos, now 87, led her family back to Manila in 1991, two years after her husband died in Honolulu, Hawaii. She is currently serving her third term in the House of Representatives. Their only son, former senator Ferdinand Marcos Junior — often known as Bong Bong — narrowly lost the vice presidential election last year but has since filed a court challenge claiming he was cheated of victory by Leni Robredas. If Marcos should accede to the post after this legal challenge, he would be vice president under President Duterte, who has proved himself staunch family friend. Is new Chinese bird flu the ‘disease X’ keeping scientists awake at night?